This is the new black metal t-shirt design that I have created for the Spanish black metal band T.A.O.B. The work has been done by hand in ink, using black and white, in the purest old school style. I was inspired by the black and death metal bands’ covers of the beginning of the nineties. 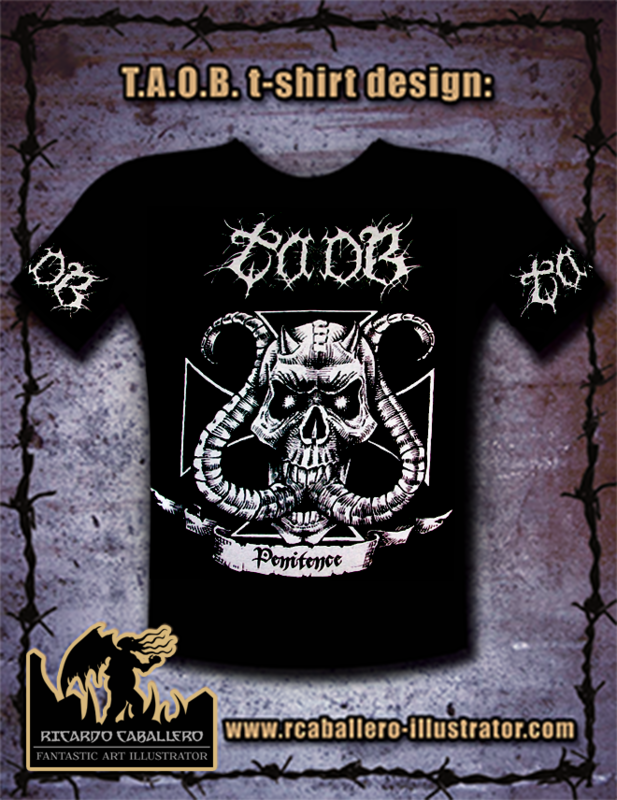 The t-shirt design belongs to the latest studio edition album of the Spanish black metal band T.A.O.B.